Pink is my go-to colour. 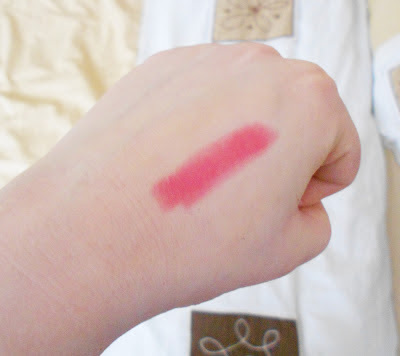 As hard as I try to move away from it, I always tend to gravitate back to a trusty old posey pink. 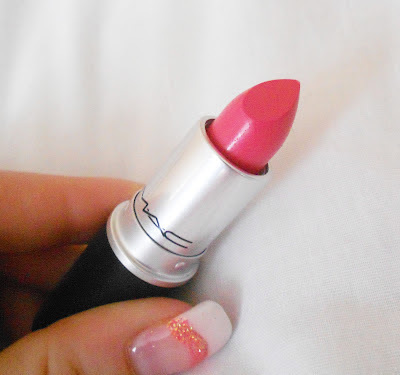 Along with coral, pink is a shade perfectly suited for pale skintones which tends to be my reasoning behind always grabbing the same shades. 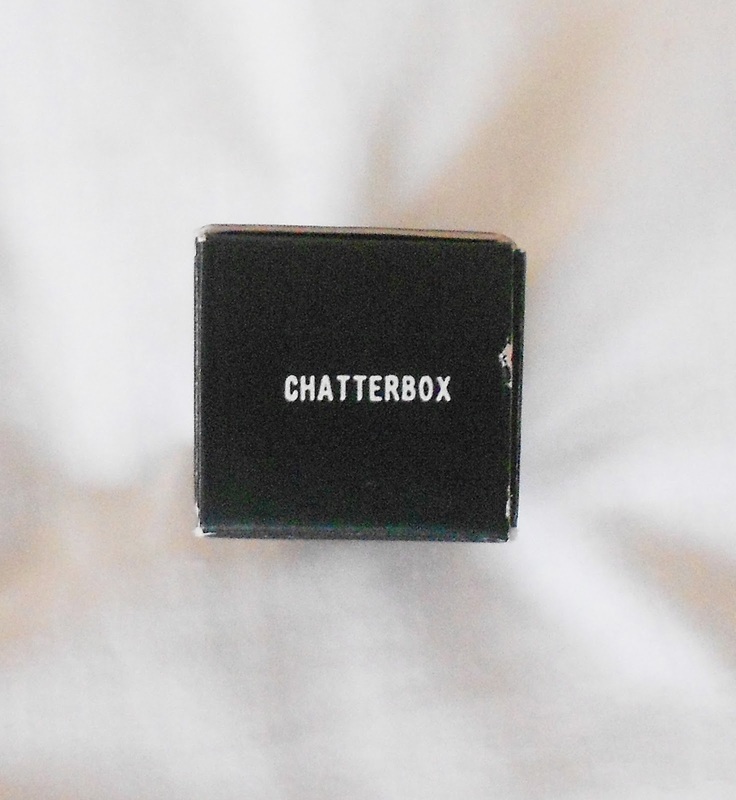 However, I wanted to find something that was a little bit more 'out-there' - generally brighter and a lot more fun for when I go out in the evenings, which brings me to my latest addition to my MAC lipstick collection - 'Chatterbox'. 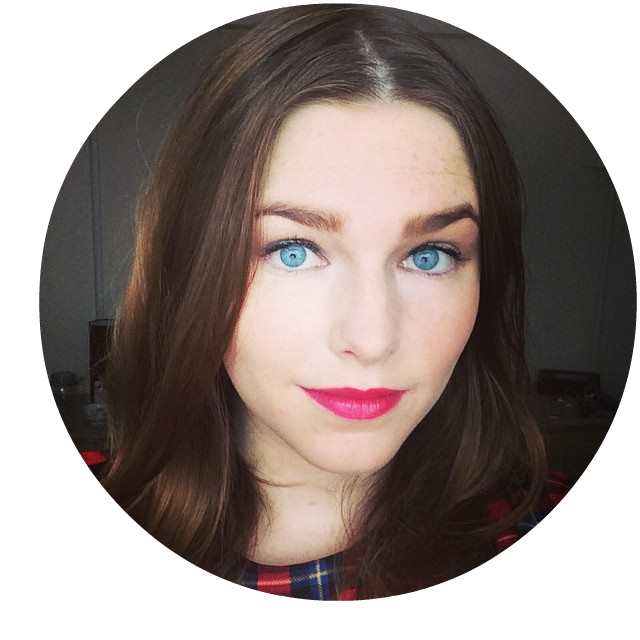 Discribed as a 'Bright red-pink', I chose this because it's probably the closest to a red that my skintone and face shape will allow (As hard as I try, I can't seem to find a red lipstick that looks good on me?!). 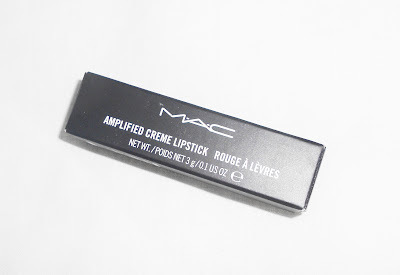 It's part of the Amplified creme range at MAC, which are generally a lot brighter and much more dramatic than the Cremesheen and Lustre finishes that I tend to purchase. I was so excited to try this shade out, i've been trying to experiment clothing and hair-wise recently, so I thought "why not?" First of all, let me apologise for only managing to get a flash version of the product on my lips, but for some reason my camera wouldn't allow it this morning without making the whole image blurry! This shade is awesome! It's so unlike me to get something this bright, and I love it. It's not really my cup of tea for work, but it's definitely a shade that i'll wear on a night out. The moisturising tube means the product slicks on with ease, and you will get a lot of usage out of the tube, which in my opinion justifies the £14 price tag. It's not very red though, as the product described - but it's certainly a hot pink, perfect for anyone that wants a lip colour that will make them stand out in a crowd. You can purchase Chatterbox or any of the other MAC Amplified Creme lipsticks for £14 from your local MAC counter or on their website here.